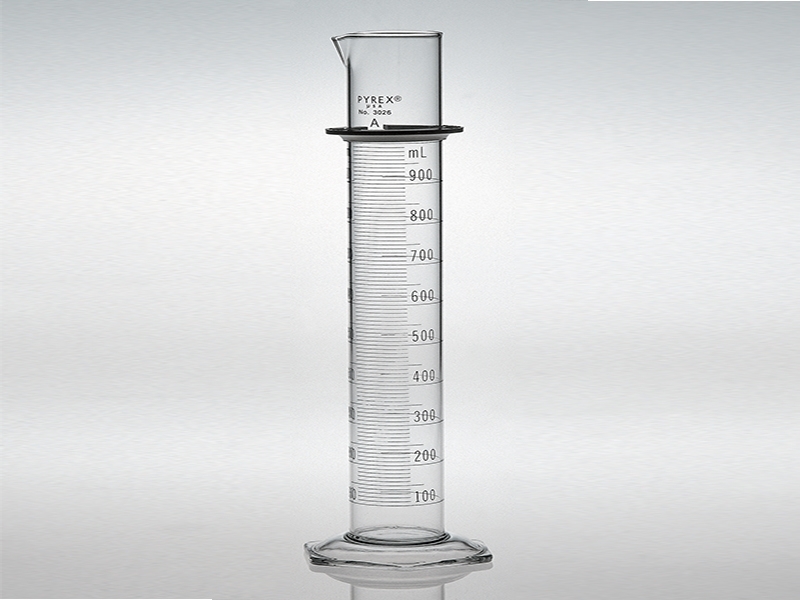 PYREX® White Double Metric Scale, Class A Graduated Cylinders are calibrated "to deliver" in accordance with ASTM E-1272 and ASTM E-542. The double scale, numbered up and down, is in durable white enamel. These Class A graduated cylinders are constructed of durable borosilicate glass and are supplied with shock absorbing polyethylene bumper guards.